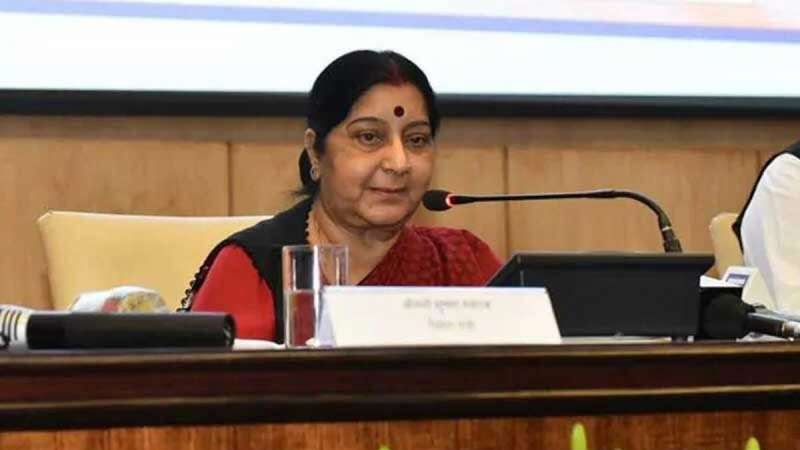 New Delhi : Senior Bharatiya Janata Party leader Sushma Swaraj on Saturday asked Congress President Rahul Gandhi to 'maintain some decorum' while speaking about veteran politician Lal Krishna Advani during poll rallies. Rahul Gandhi had blamed Prime Minister Narendra Modi of humiliating LK Advani, saying that disrespecting elders is not a part of Hindu culture. Addressing a rally in Maharashtra, Rahul Gandhi had said, "BJP talks of Hinduism. In Hinduism, guru is supreme. It talks of guru-shishya tradition. Who is Modi’s guru? Advani. Joota maar ke stage se utara (Advani was kicked out from stage)." Issuing a strong objection on the comment, BJP leader Sushma Swaraj tweeted, "Rahulji - Advani ji is our father figure. Your words have hurt us deeply. Please try to maintain some decorum of your speech." The Congress chief's attack was in straight accordance to the fact that Lal Krishna Advani has been kept away from the Lok Sabha Election 2019. BJP chief Amit Shah will be contesting from his famous Gandhinagar seat in Gujarat.